The central government has also given the green nod for another proposal which aims to extend Runway 26 at Vijayawada airport, Krishna district, at a cost of Rs 144.93 crore. 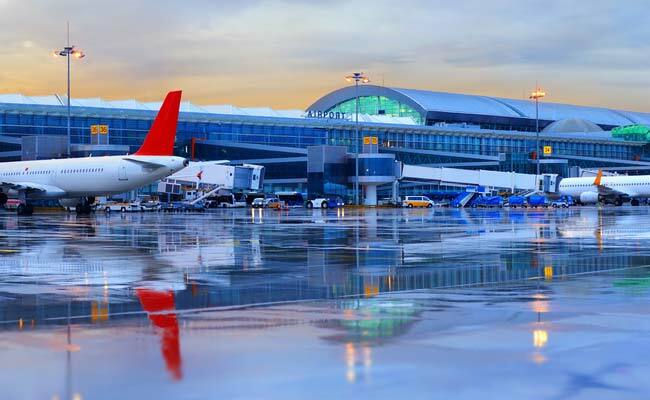 New Delhi: The Centre has given environment clearance to a greenfield international airport at Bhogapuram in Vizianagaram district, Andhra Pradesh, which is estimated to cost Rs 2,260.73 crore. These two proposals were first vetted by an expert panel and based on their recommendations the Union Environment Ministry has given the final environment clearance (EC). A separate EC letter has been issued to the Airport Authority of India and the Bhogapuram International Airport Corporation Ltd for these two projects. The EC to these two projects been given subject to compliance of certain conditions. With regard to the Bhogapuram international airport, the ministry said that the EC has been given for the development of the first phase to be constructed on a PPP mode. In phase-I, an airstrip will be developed for operating Airbus-A380 type aircrafts and a new runway will be constructed with all allied facilities, as per the proposal. The cost of the proposed airport project is estimated to be around Rs 2,260.73 crore and the land for which has already been allotted by the Andhra Pradesh government. The proposed international airport is expected to reduce the air traffic load at the existing Vishakhapatnam airport.